Keep your in-room coffee amenities organized with these well made, convenient plastic trays. 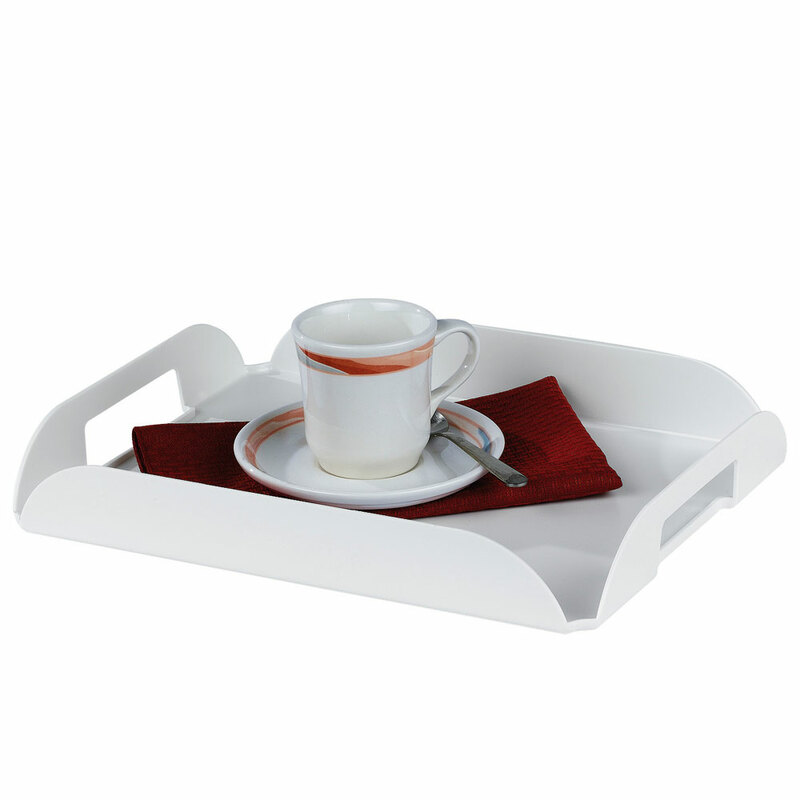 These trays will accommodate a 4-cup coffee maker, 2-coffee cups, coffee and condiment package. High sides ensure items stay in place.